Oracle Certifications: How to Earn Them? 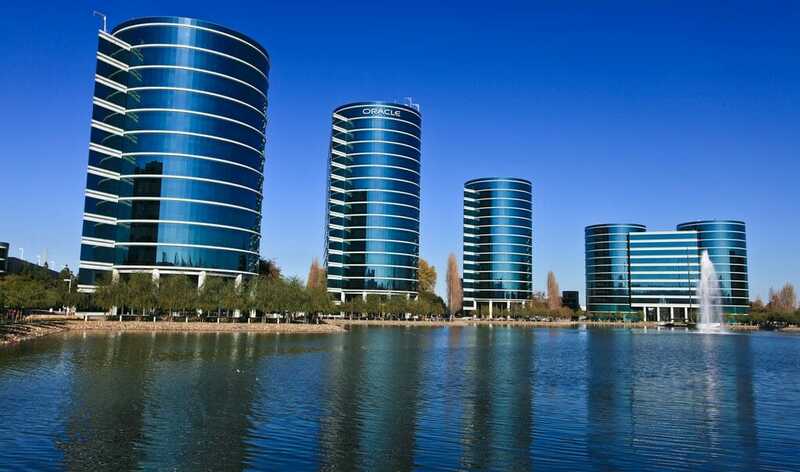 Oracle is the leading provider of cloud technology products, enterprise software and marketing database solutions software. They also train and certify individuals with skills required to successfully use these products. Their certification program is broken down into ten categories, namely, Oracle Applications, Java, Middleware, Database, Enterprise Management, Business Intelligence, Operating Systems, Industries, Systems, and Virtualization. This exam is intended to validate the abilities associated with Tables management, DML statements, Sub queries, Sorting and Restricting Data, Data Definition Language, and more. The test is designed to authenticate the skills related to usage of RMAN-Encrypted Backups, Failure Diagnostic, Backup Strategies Implementation, Recoverability configuration, and more. This exam tests the knowledge related to Oracle Secure Backup, Flashback Database, Oracle Data Protection Solutions, RMAN Backup Options configuration, and many more. This test is intended to evaluate the abilities linked to Basics of Java, Encapsulation, Arrays, Loop Constructs, Inheritance, and more. This exam is retired, but it was quite popular just some time ago. The subjects of this exam included Single-Row Functions, Data Sorting, Conditional Expressions, Set Operators, Output Customizing, Multiple Tables, and many more. The unique products and credentials that Oracle offers make their certifications so popular. Oracle uses a hands-on approach to train their professionals making them some of the most sought-after experts by employers around the world. What are the reasons to become certified? You become skilled in handling Oracle products. It provides you with a roadmap towards growing your IT career. You get great salary offers. Oracle professionals are known to be some of the most highly paid, attracting salaries of up to $128,000 on average per annum. With an Oracle certification, you will stand out from the rest. Your employer will see that you are committed to progressing in your IT career. You receive a badge that will demonstrate your skills. Businesses will benefit from your unique expertise because you will help in running systems efficiently. Efficiency of systems means business growth and delivery of quality products and services to customers. Ben Strasser, U.S. Air Force. First, choose your preferred certification to pursue. Next, ensure that you have an Oracle Account. Authenticate your account at certview.oracle.com. Prepare for your exam through training and use of practice tests and study guides. Before you register for an exam, Oracle requires proof of attendance at a training course. Finally, sit for your exam and wait for your results. You will get an email from Oracle informing you to check your results at certview.oracle.com. Once you pass your exam, you will be awarded the relevant certification. NOTE: Oracle keeps updating their exam versions regularly and the details may differ from one exam to another. It would be best to check out their passing score policy. To pass your exam, ensure that you prepare well for it. Use the available resources to thoroughly prepare. Training and use of study guides, as well as practice tests, is important to your success. These are some of the tips that I used when I was preparing for my Oracle Cloud Infrastructure Classic 2018 Associate Architect exam recently. That helped me to update and gained fundamental skills to manage and architect cloud infrastructures that was important in my work. That helped me to boost my career and area of work. I was among the four fronted by the company to train and get certified. I sought more information on the ExamSnap website. I enrolled in training as well as obtained study materials and practice tests for my exam preparation. I prepared thoroughly. I finally registered and sat for my exam. I managed a score of 78%, which was a good score. After a short while, I received my Infrastructure as a Service (IaaS) certification. It has been a very important aspect of my career. Things also got better in our company because I can now deliver great results using the skills that attained as I pursued this certification. Understanding what the exam is all about is where it all begins. Find out what the topics are, and all the other requirements. Oracle official website is the best place to get this kind of information. Juggling between your other commitments and studying for your exam can be a little tricky, but if you have a schedule to follow, then you will bring everything to a balance. Write down your schedule and follow it to the latter. Find out what works best for you. For most of the Oracle exams, it is a must that you attend a course training led by an instructor. There are many instructors permitted by Oracle to train their candidates. A hands-on experience will make a difference between failing and passing your exam. There are online labs available for this purpose. You are also advised to seek for more field experience since Oracle exams are very practical. Use the available study guides and practice tests to thoroughly prepare. Practice more and more, while working on perfecting your weak areas. Check here for good study resources. Nothing beats being a part of a community that has experience in what you are seeking. You can find the forums on the internet. Go through other candidates’ and professionals’ experiences. Learn how to pass the exam from them. As you prepare for your exam, you will know what to focus on and what to avoid. Are Oracle exam dumps helpful? Exam dumps are previous exam questions uploaded online. They are useful for your exam preparation because they give a hint of what your exam will be like. These questions give you an opportunity to practice with them as though you are in an actual exam environment. This way, you get to understand the topic areas that you still need to work on and perfect. You can download these tests online for free or purchase them on reliable websites. Try to find the most valid and recently updated files. What resources can you use to prepare for your Oracle certification exams? Becoming an expert in any field requires that you find the right kind of information to help you prepare. Oracle provides a clear path for its candidates and professionals to pursue knowledge and skills that will help them become experts in handling Oracle products. Getting an Oracle certification credential demonstrates the rigorous process that an individual has been taken through to prepare them to be the best networking system solutions providers in their organizations. This article has been sponsored by PrepAway and was authored by John Might, a company representative. Featured Image: Håkan Dahlström, Flickr.